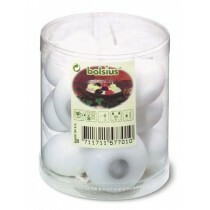 Cool Candles offers a range of high-quality floating candles, perfect for weddings and entertaining. Enjoy the soothing beauty of real candlelight in outdoor ponds and pools, or indoors in unique table decorations. We supply bulk quantities for events and hospitality activity, including special wholesale rates for Australian business customers. Do you love real flame lighting, but want something a little more unusual than pillar candles or tea lights? Perhaps you'd like to make use of an existing water feature to help light your space and set the mood. If you want candlelight with a difference, floating candles are a great solution. Uniquely designed to float while burning, these candles will impress your guests and create a truly soothing atmosphere. Especially popular for weddings, floating candles bring a sense of romance and magic to any setting. The soft flicker of candlelight combines with gentle floating motion to provide a uniquely serene ambience. 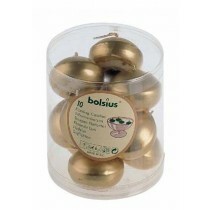 You'll find them a lovely sight drifting calmly in your pond, pool, or in a bowl or fountain as your table centrepiece. How do floating candles work? It may look magical, but there's nothing very complicated about how floating candles float. As you may have noticed, candle wax naturally floats in water, so most of the work is already done! Because the wax is already buoyant, the main difference between a floating candle and any other types is the shape. If a candle is too tall (like a pillar candle) it will be top-heavy, and fall over in water. Therefore, a floating candle must be a broad, fairly flat shape, more like a tea light. It should also be wider at the top than at the base, creating a shape that will float easily and prevent tipping once it's in the water. A domed top, like you can see on our floating candles, helps keep the wick from getting wet. Because the water constantly cools the outside of the wax, floating candles easily keep their wax contained as they burn. Finally, the wick must not go all the way to the base of the candle, as it does in most pillars and tea lights. This allows the candle wick to burn all the way down without ruining the floating effect, or letting in water. With the correct shape and wick placement, floating candles have no trouble mixing fire and water for a seemingly magical effect!